During Mental Illness Awareness Week on Oct. 1-7, 2017, NAMI and participants across the country are raising awareness of mental illness. Each year we fight stigma, provide support, educate the public and advocate for equal care. Each year, the movement grows stronger. We believe that mental health issues are important to address year-round, but highlighting them during #MIAW provides a time for people to come together and display the passion and strength of those working to improve the lives of the tens of millions of Americans affected by mental illness. If you or someone you know may need a mental health assessment, anonymous online tools are available. For National Depression Screening Day on Oct. 5, you can get a free mental health screening at HelpYourselfHelpOthers.org. 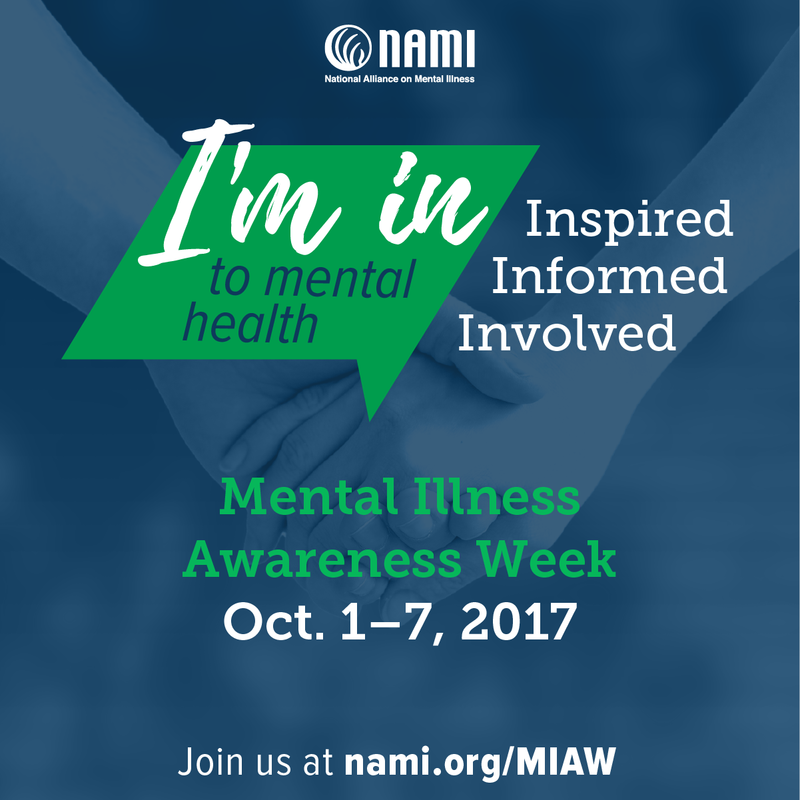 During the first full week of October, NAMI and participants across the country are raising awareness of mental illness. Each year we fight stigma, provide support, educate the public and advocate for equal care in order to replace stigma with hope.